Back in January my super sweet friend Kacia (coconutrobot.com) blogged the cutest mom & daughter matching coats post. I was swooning. And then I realized that the company where the coats came from was the same company my friend Sandy (sandyalamode.com) had said she found some awesome rain boots from. So, I was like - what?! and what?! Have I been hiding under a rock?? Joules!! So take this tip from me. 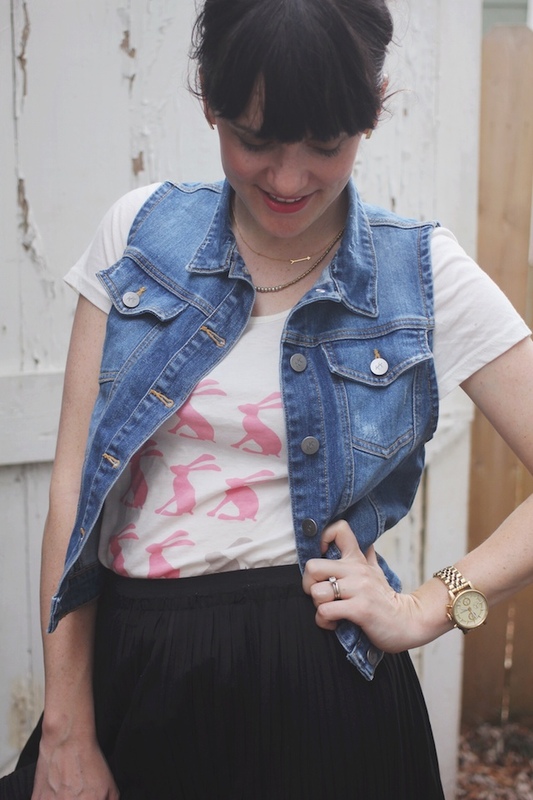 Check out Joules. Originally a UK company, they now have a US site. They have women's, men's, kids', baby, accessories, shoes, and or course amazing wellies (cool word for rain boots). I'm so excited to have these new rain boots. I don't know about where you live, but wellies are super popular in Nashville. What I love about these is that they are sturdy and thick without being heavy and clunky. And I love the aesthetic details -- floral lining inside, red and yellow striped ups the back, the gold framed name plate on the front. I am ready for some April showers!! And next on my drool list? I'm totally in love with his little two piece baithingsuit for Magnolia, these farm pjs for Henry, canvas sneakers for David, and would this not be the most perfect easter dress?! I will! I trust your style and Sandy's style! 1. that skirt! swoon! 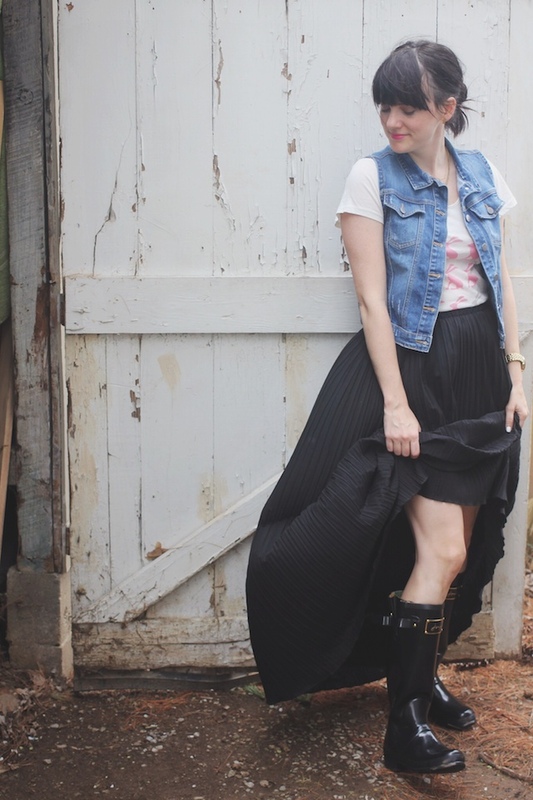 I am on the hunt for a pleated maxi skirt and i love this one on you! You are adorable. Love the skirt. If only AZ could warrant some wellies-wearin.